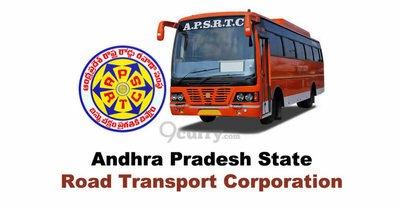 Pay the Examination Fee through Demand Draft (DD)drawn in favour of FA & CAO, APSRTC, RTC House, Vijayawada. 40 years of age as on }st July, 2019. 1 Must be in possession of Post Graduate Degree in MD (Generai Medicine) from an Indian University approved by MCI. 1 (a) Must be in possession of Post Graduate Degree in MD (Radiology) from an Indian University approved by MCI. (b) Must be registered (Permanent) with AP State Dental Council or any other State in India.